I didn’t think it was possible, but it is!! You CAN make a vegan caldo de res. Caldo de res or vegan Mexican beef soup is a warm comforting soup of stewed beef, carrots, potatoes, corn, chayote, potatoes, mint, and cilantro. It is served all year, but is especially good in the winter months. 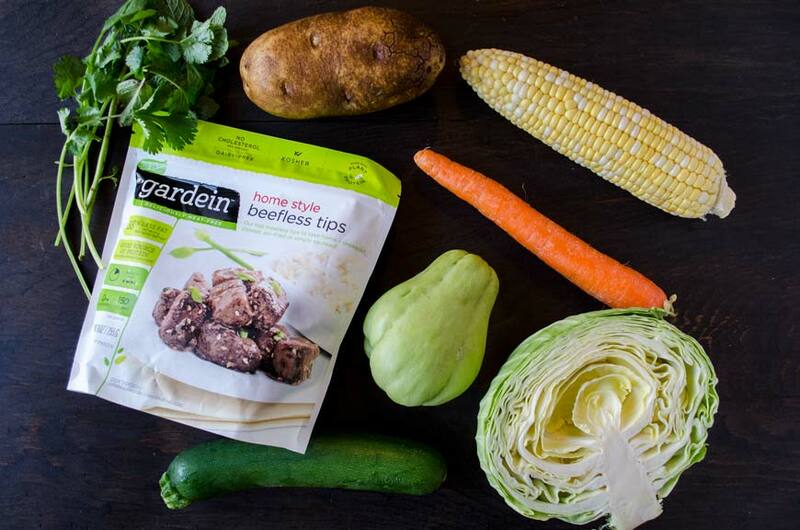 This vegan version is pretty close to the original, but instead of using beef we are using the Gardein beefless tips (this is not a sponsored post). The beefless tips infuse the vegetable broth with a meaty flavor. I’m usually not a fan of using imitation meat products, because I try to stick to whole foods, but I think the gardein beefless tips work really well with this soup. 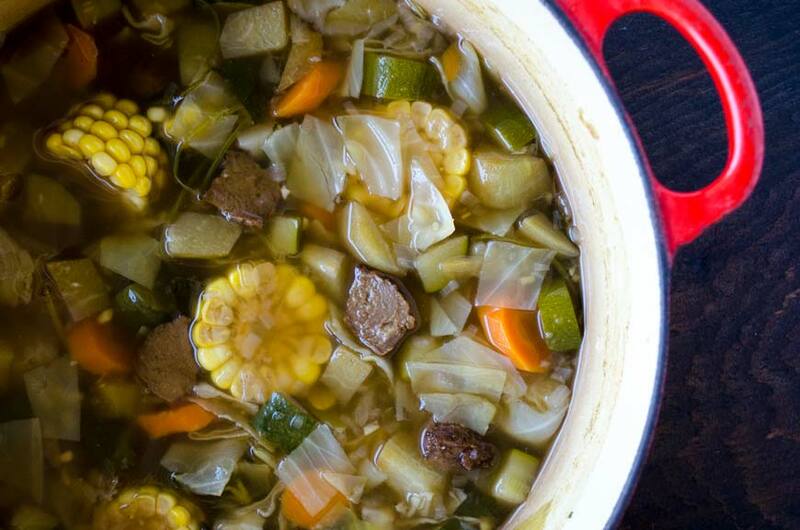 Caldo de res is also known as puchero, or cocido de res. 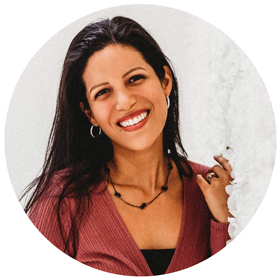 The ingredients vary by region, depending on what state of Mexico you are in you can find caldo de res with garbanzo beans, green beans, and plantain. Some regions of Mexico use a tomato based broth. The soup itself is not spicy, but when I eat it I like to add a tbsp. of salsa roja to spice it up a bit. 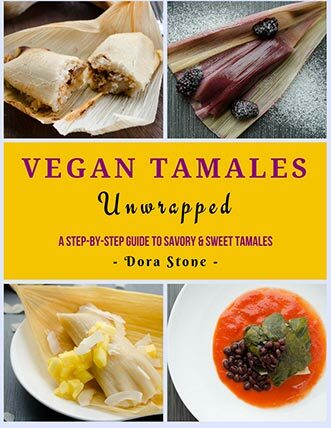 Serve it with Mexican rice, warm tortillas, and be sure to add a splash of lime juice to the soup before eating. Sauté the beefless tips while they are still frozen. Instead of beefless tips use shitake mushrooms instead. 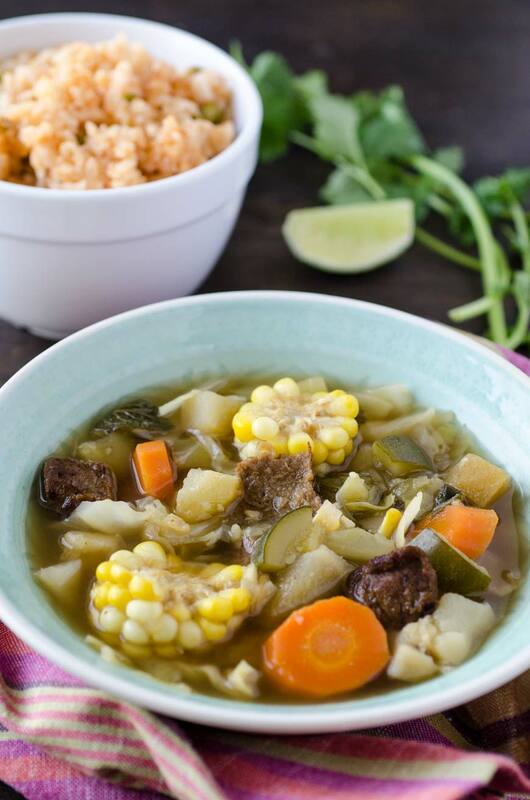 Vegan caldo de res (vegan Mexican beef soup) is a warm comforting soup of no-beef, carrots, potatoes, corn, chayote, potatoes, mint, and cilantro. It is served all year, but is especially good in the winter months. Set a large pot to medium-high heat (if necessary add a little bit of oil). Sear the beefless tips for 2 minutes on each side. Remove from pot and set aside. Add onion and ¼ cup of vegetable stock to deglaze the bottom of the pot. Cook onion for 4-5 minutes or until tender and translucent. Pour in vegetable stock and add the mint and cilantro. Bring to slow simmer and add the corn, carrots, and potatoes. Simmer for 6 minutes and then add the chayote, zucchini, and cabbage. Simmer for 8- 10 minutes or until vegetables are tender. Season with salt and pepper. Cut the beefless tips in half, and add about 1/3 cup to each bowl. Pour soup on top and serve. Serve with lime wedges and warm tortillas. Sauté the beefless tips while they are still frozen. Instead of veg stock you can use no beef better than bouillon. I add the “beef” at the end, because if you simmer it in the soup it changes the texture. If you don’t have access to beefless tips use shiitake mushrooms instead. 02/07/2018 /2 Comments/by Dora S.